HÀ NỘI — Bình Sơn Refining and Petrochemical Company Limited (BSR) in the central province of Quảng Ngãi has officially been operating as a joint stock company since July 1, 2018. This change follows the directive of Prime Minister Nguyễn Xuân Phúc in accelerating the equitisation process of State-owned enterprises (SOE) during the 2016-20 period. Through the transforming into a joint stock company, BSR hopes to seek foreign strategic investors to help the company develop petrochemicals business, as well as increase its product quality and competitiveness. The company’s legal representative is Trần Ngọc Nguyên, the general director of the firm. Bình Sơn Refining and Petrochemical Joint Stock Company is responsible for receiving, managing and operating Dung Quất Oil Refinery Plant. 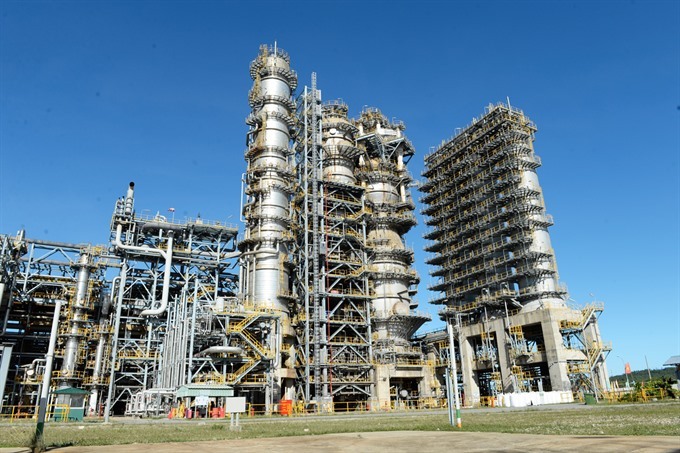 After nine years of operation, Dung Quất Oil Refinery has generated about US$38 billion in revenue and contributed nearly $7 billion to the State budget. In the first six months of 2018, BSR produced 3.56 million tonnes of products, consuming nearly 3.6 million tonnes of finished products, fulfilling 57 per cent of the yearly plan. The firm’s revenue and after-tax profits are estimated at nearly VNĐ55.36 trillion ($2.4 billion) and VNĐ2.95 trillion, equivalent to 69.7 per cent and 84.7 per cent of the plan set for the whole of 2018, respectively. The company also contributed approximately VNĐ5.81 trillion to the State budget in the first half of 2018. On December 8, 2017, the Prime Minister signed the Decision No 1978 / QĐ-TTg approving the equitisation plan of BSR.